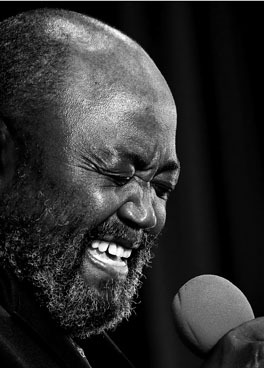 Critics describe Atkinson as an extraordinarily smooth jazz vocalist, offering a unique and unforgettable fluid interpretation of jazz and blues for his audience. He is said to exercise a fresh approach by presenting vocals in his own personal style while exploring the syncopated rhythms of a swinging tune or telling the story of a lonesome, wanting heart. The Transitional Jazz Quintet consists of: Stephen Anderson, UNC Chapel Hill, piano; Phil Owens, New Bern, guitar; Doug Trammel, Myrtle Beach, bass; Michael Hanson, Rocky Point, percussion; and Jeff Bair, East Carolina University, saxophone. Liz Pina of Wilmington, NC is a guest jazz vocalist for this concert.